Ruthenium started as a blacksmith guild based in the Duchy of Tenebrae, within the County of Shade. Continuously growing and developing has led for us to expand the throughout our duchy, and hopefully throughout the kingdom by post launch. It's also notable to mention our organization has added the addition of company branches that will accent the guild, and move us into the direction of becoming an enterprise opposed to just a singular guild. Examples of some additions is like our new and growing mining branch, and our soon to come architecture/construction, postal/delivery and security branches. We became interested in this particular direction when we knew we wanted to be able to deliver finished products and sets opposed to parts of. What assurances can we offer? In addition to our growing size of clients and contracts, our Duke, blessed be he, has given us exclusive first rights to all blacksmithing contracts in the Duchy. This means guaranteed work, and guaranteed pay! (If you would like to set up contracts with us, please join our discord or PM me.) We also have contracts with a number of other counts, barons, mayors as well as other groups and organizations. So the work is plentiful! That being said we want to be a group that grows during the game, and the goal is to expand outside the duchy and all around the kingdom, at the end of the day we want to be a group that empowers the kingdom and is a overall benefit to its members. How will Ruthenium benefit you? Being apart of a well organized and structured organization, built to reward effort, progress and results. We also offer the addition of a system that allows a individual to grow and achieve promotions to larger roles. You will be able to participate in the standardization of prices. Be of the first to have exclusive knowledge and training and have exclusive rights to profession materials. Members may receive or request contracts from the Guild for guaranteed work. The Guild will attempt to arrange for aspiring crafters (younger characters) to be trained by aged crafters (older characters) so that both players will be able to obtain experience. 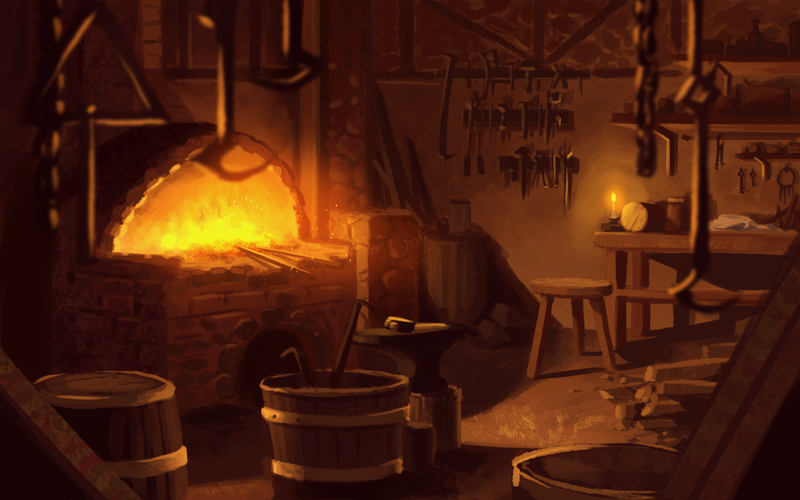 For example due to the in-game mechanics, if a new blacksmith is mentored by a experienced blacksmith, both player will receive bonus experience. 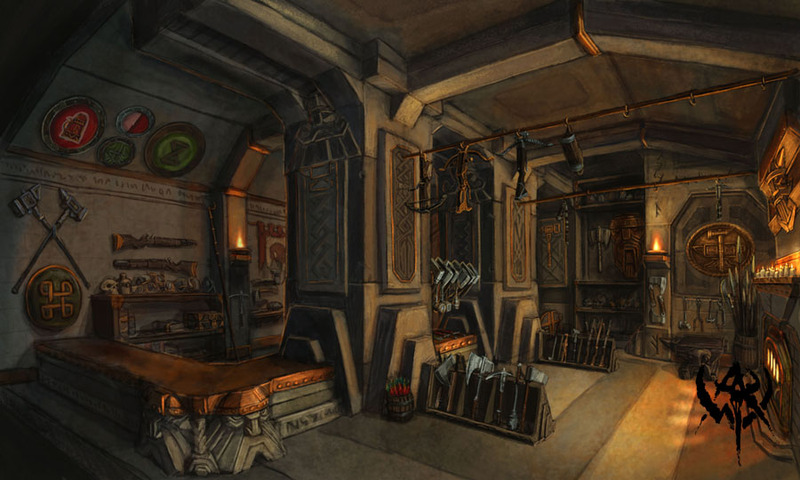 Guild HQ's will have exclusive forge(s) and other work tables strictly for guild members, contracted transportation and protection systems, as well as merchant guilds to sell your goods to. 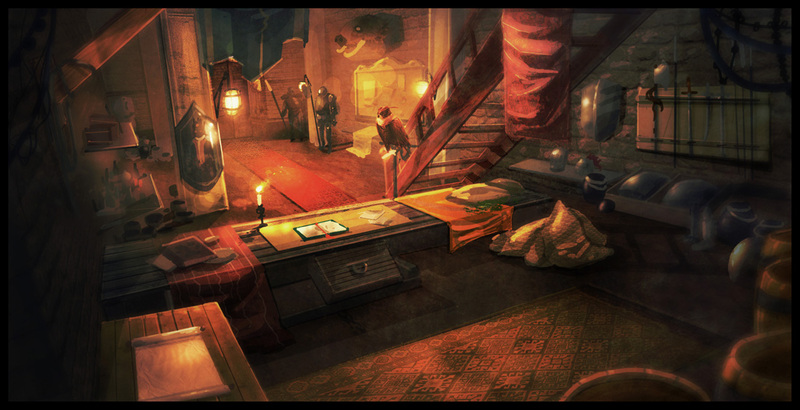 Headquarter(s) will also have warehouses to hold guild related items and property and act as safe storage facilities. If you don't want to live in the Capital or the County of Shade, that is Not a problem! We will be setting up forges and homes for various blacksmiths in other towns, counties and duchies and will be constructing other HQ's around the kingdom as time goes on. Blacksmiths - Currently we are looking for and recruiting all blacksmiths, and although most will start as basic smiths come exposition and launch we do not only encourage picking a specialization, but we will help all in following their specific specializations. Tailors & Weavers - Currently and very much like the leatherworkers we are in search for tailors that will be in charge of all cloth goods and clothing in our group. They are needed to complete full sets of armor by providing cloaks, clothing and other garments. Tinkers - The research of tools/devices in which require moving parts, tinkers will have a role in every branch but will also require the aid of them to provide parts. Work and clients will be guaranteed by the guild needing a constant streamline of mining goods. This company is necessary to make the guild self sufficient. The mining company will also be making additional profit through stone and other material sales, and although maintaining Ruthenium as their prioritized client, will take on additional clients based on inventory and upon business inquiry. Head Miner(s) - This individual will be in charge of the mine(s) and organize the operation while working with the tied in personnel. Miners - We are looking for miners who will be under lead of the Head miner that will be in charge of carrying out all mining/ore gathering. Smelters - Smelters will work either at the mine or guild HQ and will be in charge of processing and refining all ore, opposed to having the smelters in the blacksmith guild we decided to have them in the mining company due to smelting being a skill under the gathering skill tree, making it a job most practically done by miners instead of blacksmiths. That being said you can be a miner and a smelter. Prospectors - Within the mining group we would also like people interested in prospecting, these people will aid the Head miner and miners all while taking a bigger role on special materials, ores, minerals and gems of all sorts. Scribes & Architects - A architect role is crucial to the maintenance and creation of all things infrastructure, as well as structures, buildings and mines. Glass Blowers - Crafters who specialize in glass in which will be used in many different walks of life, windows, containers, tools, etc. Forrestry & Lumberjacks - Wood gatherers and tenders to the forests, the job doesn't just include chopping tree's down but also taking care of the biome/area in which the resource is harvested from, this includes re-planting etc. Woodworkers - Experts who make use of wood/lumber for carpentry, wood carving and paper making, these crafters will play major part in every other branch and division. Loving this!!! Hoping to do business with you and get things straight before MUD. I look forward to doing business with your guild. Very nice always doing a good job there frappe. Thanks @everyone, looking forward to all the dealings! Very well thought out and structured. If this is the kind of work you are looking for it seems this would be the guild to join. With this kind of thought out structure everyone benefits. Thanks for the hard work there Frappe! Can honestly say it has been very entertaining talking with the members of the guild in discord since joining. and some of our customers are even more so. Glad to have the ruthenium company in the duchy. Want to let everyone know we are avidly growing and recruiting and we need EVERYTHING!! We are already on 20 + members with 16+ blacksmiths and looking for more in addition to our growing client list! We are extremely lucky to be in the kingdom we are in, with the rulers that we have. 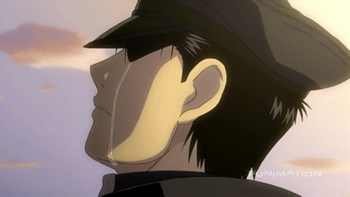 I appreciate everyones continued support in our endeavors. Hello everyone, and once again thanks for the continued support! I wanted to add and put out there that the group is also looking for any individuals interested in logistic/treasury/warehouse manager work! The positions will be nice for organized individuals with a liking of numbers. Also a great place if the community happens to have any accounting students or people looking to practice similar skills. Looking good so far. I love the forum design.